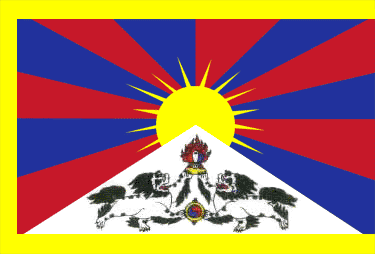 High Peaks Pure Earth – Look Out for Tibetans and Uyghurs! This notice was seen in Beijing’s Haidian District and posted on a Tibetan’s blog on 30th September 2008. Haidian District is known as Beijing’s university district and is home to the Central University for Nationalities where most Tibetan students attend. Although posted online on this date, the notice is likely to have been placed in time for the August Olympic Games. Bad news for Tibetans but the good news for Uyghurs is that you guys are now no longer bad guys (according to Americans that is)! Well done! According to the demands of the branch office of [the Public Security bureau], from now onwards hostelries and public baths under the jurisdiction of Haidian District should conduct checks on the circumstances of all Tibetans and Uyghurs staying at the business premises. One should reinforce the effort to verify the identification of all such people who check in, and at the same time one should report to the police station. Note, all hostelries and public bath houses should carefully check and correctly record information on guests’ ethnicity. All accommodations receiving Tibetans and Uyghurs should immediately report to the police station.